For over 35 years, children have been delighted by the magical world of Care Bears and have enjoyed collecting toys featuring their favourite characters. 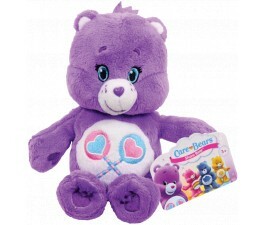 Now a new generation of kids can have their Care Bear plushies and other collectible toys to cherish for themselves. Go ahead and relive your childhood and treat your little one to some of the most popular new toys from this franchise available throughout Australia from Mr Toys. Did you know that Care Bears first debuted as colourful characters on greeting cards released by American Greetings in 1981? From these humble beginnings, the charming and whimsical bears became a smash hit with kids and adults alike throughout the 80s and 90s, resulting in multiple animated series, feature-length television specials and a nearly endless array of collectible toys. The vibrant and friendly characters from the Care Bears universe remain just as appealing for youngsters today as they were a generation ago. From the adorable sleepy Bedtime Bear to the ever-optimistic Wish Bear, these cuddly critters teach timeless values of friendship and make excellent companions for kids of all ages. For these reasons and more, parents today are just as eager to find Care Bears for sale as a sure-fire way to put a smile on their kids’ faces. Transporting your child to the enchanted kingdom of Care-a-Lot is comfortable with Mr Toys. Just view our Care Bears selection and pick an extra-snuggly 12” plush toy or allow your child to be surprised with a randomly assorted Suprizamals ball or Blind Bag assortment from the latest line of Neon Fun characters. Either way, you will be inviting your little one to a fun world of caring and wonder with the help of these cheerful cartoon bears. Whether you are introducing your child to the magic of Care Bears for the first time, or perhaps would like to relive the magic for yourself with the latest additions to this collectible series, Mr Toys is your go-to stop in Australia for all things related to this favourite product line. Kids both big and small adore the fun and excitement of revealing a surprise toy from the range of randomly assorted packs, while grown-up toy collectors have flocked to buy the many Pop! Vinyl Care Bears toys released in recent years. 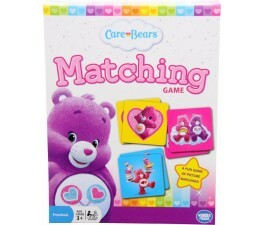 In addition to the many Care Bears toys for sale through Mr Toys, we also have officially licensed Care Bears themed games and similar products that can provide additional entertainment for young minds. With so much to choose from, making up your mind could be the most challenging part of all! 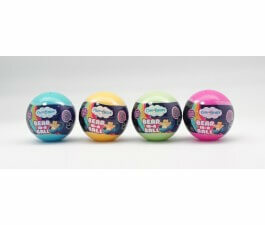 Got questions before you buy about our Care Bears toys or about our low flat-rate shipping anywhere in Australia? Feel free to contact Mr Toys at any time. We’ll be happy to help you make the perfect selection, find a hard to get a toy or answer whatever other enquiries you may have.